If you have just moved into our neighborhood, this is a great opportunity to meet other families in our community. Come to make friends. Come to eat delicious food. 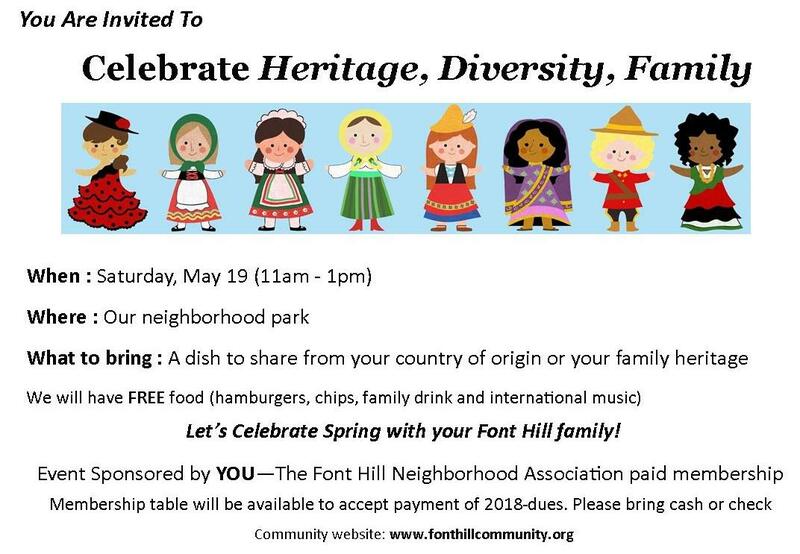 Come to meet your Font Hill family. Bring your smiles. Bring a dish to share.